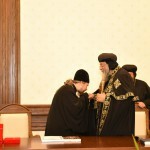 During the historic visit of His Holiness Pope Tawadros II, Pope of Alexandria and Patriarch of the See of St. Mark, to His Holiness Patriarch Kirill, Patriarch of Moscow and All Russia, on October 29, 2014 in Moscow, the two beloved Primates agreed to enhance the relationship between the Russian Orthodox Church and the Coptic Orthodox Church through a special commission for bilateral dialogue. 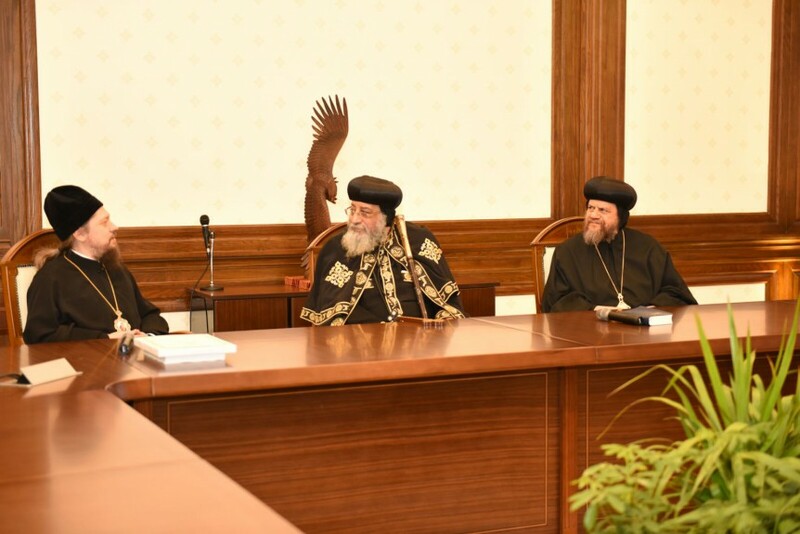 After a preliminary working group in February of 2015 in Cairo, the Holy Synods of both Churches resolved to establish the Commission for Bilateral Dialogue, and appointed their representatives: His Grace Bishop Serapion, His Grace Bishop Youlios, Rev. Father John Paul Abdelsayed, Rev. 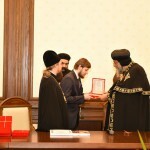 Father Boules Halim, Dr. Ishak Ibrahim Agpan, and Mrs. Barbara Soliman; and from the Russian Orthodox Church, His Grace Bishop Gennady of Kaskelen, Hieromonk Stefan (Igumnov), Rev. Father Viktor Kulaga, the Very Rev. 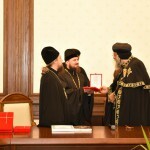 Father Oleg Davydenkov, Mr. Sergey Alferov, and Mr. Iliya Kashitsyn. The Commission held its first meeting in Cairo from February 5-7, 2016. 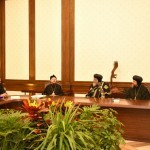 During this meeting, the Commission outlined five main areas of cooperation between the two Churches: theological education, church and society, diakonia and social services, monasticism and pilgrimage, and theological consultations. 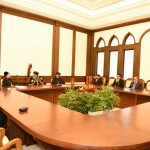 The Commission recognized the severity of the problem of persecution of Christians throughout the Middle East, especially in Syria, Iraq, and Libya, and expressed solidarity with the victims of these persecutions and supported the endeavor of Christians to preserve their historical existence in the Middle East. The Commission also acknowledged the model of interreligious peace in Egypt and uncompromising struggle against extremism through the dynamic leadership of His Excellency Abdel Fattah el-Sisi, the President of the Arab Republic of Egypt. It also extended its condolences to the families of the 224 victims of the Kogalym-Avia plane crash over Sinai on October 31, 2015. 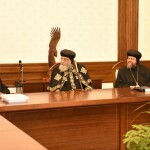 During this meeting, the Commission met with His Holiness Pope Tawadros II, who blessed the efforts of the Commission. The Commission plans to hold its Second General Meeting during the summer of 2017 at Astana in the Cultural and Administrative Center of the metropolitan district of the Russian Orthodox Church in the Republic of Kazakhstan.